Located on a spacious, 340-acre campus in the southwest corner of Cook County, the campus has several buildings in various physical stages. Remodeling of Building C which was built around 1914, is an 110,000 square-foot, two-story building and has suffered significant neglect and deterioration. This remodeling project will rehabilitate the space and create office and emergency operations space for the Cook County Department of Homeland Security and Emergency Management, and the Cook County Department of Public Health. Renovation and modifications to Power, lighting, new Integrated Building System and HVAC controls. New electric generation facility, office and parking garage expansion of the DuPage County Pumping Station. New Integrated Building System and HVAC controls for new facility with modifications to the existing Integrated Building System. The former Sears Power House is now the Charles H. Shaw Technology and Learning Center, home of Henry Ford Academy: Power House High. This magnificent building has been fully restored and is back in service. The Charles H. Shaw Technology and Learning Center represents a dramatic $40 million dollar rehabilitation and adaptive reuse of the Power House facility of the original Sears, Roebuck and Co. world headquarters in Chicago. Restoration began in January 2007. In August of 2009, the building welcomed the students of Henry Ford Academy: Power House High, a public charter high school affiliated with the Henry Ford Learning Institute of Dearborn, Michigan. Built in 1905 as part of the original Sears, Roebuck and Co. headquarters complex, the Power House is now an award-winning, historically preserved, green public high school with energy-efficient upgrades that include a geothermal system and renewable energy technology. New Power, Lighting, Integrated Building System and HVAC controls. 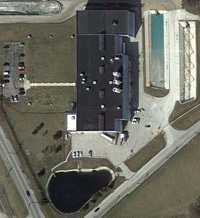 Facility expansion and modifications to Power, Lighting, HVAC equipment controls and Integrated Building System retrofit. Complete building renovation and modifications to Power, Lighting, HVAC equipment controls and new Integrated Building System retrofit. 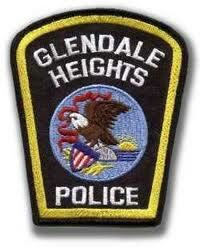 The Glendale Heights Police Station project included a 38,000 SF addition to the existing Civic Center will serve as the new Police Station and renovation of the existing Civic Center spaces to reuse former Police areas and modernize the remainder of the facility. New Integrated Building System and HVAC controls for new facility with modifications to the existing Integrated Building System.